The next major event for breeders all over the world is World Dog Show in 2013 between 16th and 19th May. This extraordinary show for the year 2013 will take place in capital of Hungary, Budapest in exhibition venue Hungexpo. Currently we are preparing for you dog friendly Budapest accommodation of different types from budget to upscale around the venue. The list will be available in next weeks. Stay in touch with our website for very fresh news. Currently we are finishing with list of dog friendly pensions and hotels appropriately situated nearby the show ground of Euro Dog Show. The show will take place in northern part of Bucharets in exhibition complex Romexpo between 5th - 7th October. Check our news for the very best choice of dog friendly hotels for the show. When registrating your dog for the World Dog Show 2012 in Salzburg, Austria do not forget about booking an appropriate accommodation for you and your dog. In our offer we still have available rooms in hotels or pensions with price starting at 70 EUR for double room per night inclusive breakfast. Feel free to check our offer. The earlier you book, the broader choice you have as the capacities are getting day by day limited. In the year 2013 we will organize dog friendly accommodation for both World and European Dog Show. 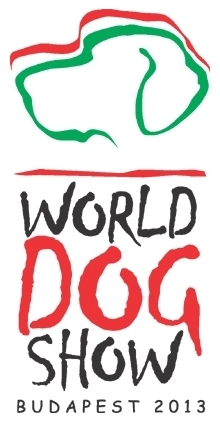 The 2013 edition of the World Dog Show will take place in Hungarian capital Budapest on 16th to 19th May 2013 and Euro Dog Show 2013 will be organized in Geneva, Switzerland between August 30th and September 1st 2013. The information about both shows and our respective offer of travel services will be actualized continously on our website. We would like to announce another event for the year 2012. The Romanian kennel club got the honor to organize for the first time the European Dog Show. The show will be held in Bucharest, the capital of Romania from 5th to 7th October 2012. Currently we are booking rooms at nearby hotels and in January we will inspect dog friendly hotels personally. For the latest news stay in touch with us. Austria was the only of five FCI's founding countries that did not have the honor to organize a major event during FCI centenary year. Now it gets opportunity to show its longterm ties with international dog breeders community. The dog exhibition will take place in Salzburg, the birthplace of W. A. Mozart from 18th to 20th May 2012. Our team currently provides accommodation capacities of different types (hotels, inns, pensions as well as traditional bauernhof lodging) for our clients. Penultimate special show of a special year, when FCI celebrates its centenary, recently finished. We are hoping, that all our clients successfully arrived home and that their darlilngs made their best while they were showcased. Despite lack of accommodation capacities directly or around the city Leeuwarden, we were able to satisfied all our clients with appropriate accommodation. We also appreciate that many of our clients are loyal to our company and use our services repeatedly. Both paper & online entries for European Dog Show 2011 are closed. More than 20 000 dogs has been registered. Although all hotels directly in Leeuwarden are fully booked, we can still offer hotels located in towns around Leeuwarden with price started at 80 EUR for room with breakfast. So do not hesitate with booking rooms for you and your dogs as the capacity is getting day by day very limitted. We hope you enjoyed this World Dog Show, which was special due to 100th anniversary of FCI and with nearly 40 000 pedigree dogs and more than 22 000 dog exhibitors from 69 countries, it was one of the largest exhibition in the history of FCI. We have arranged for our clients form all around the world approximately 200 rooms in several different hotels. Paris was a challenging event also for us and due to very high price level in Paris hotels we were not always able to provide the value for money that our longterm clients expect. Despite this majority of client's comments was very positive and we look forward to provide accommodation for you and your dogs during European Dog Show in Leeuwarden (1st - 4th September 2011). It is only 2 months until the start of the largest dog event in 2011. This year's show will be special due to the 100-years anniversary of FCI as well as the venue in Paris. Already above 25 000 dogs are registered now, so we may expect more than 30 000 dogs from all around the world. There are still free rooms in divers categories, inclusive apartments, luxury hotels and hotels for WDS located in walking distance to Parc des Exposition, anyhow the capacities are getting quickly very limited this year. When planning for the dogshows for 2011, we have to mention the Euro Dog Show, that was awarded to The Netherlands. The small town of Leeuwarden will welcome more than 10 000 dogs with the dog breeders not just from Europe. In the first days of September many of us are already looking to meet each other in Dutch province of Friesland that is around 140 km from Amsterdam. Our offer (bookable from March 2011) will include a lot of small family managed pensions with guest-friendly & dog-friendly atmosphere in and around Leeuwarden. We are already taking hotel reservations for the World Dog show 2011 in Paris. Several hotels have been booked, inclusive 30 rooms in walking distance and 20 rooms only 15 minutes walk from the venue of the leading dogshow in the world. We will provide a listing of the available hotels in begin of January 2011. The exhibition center Parc des Expos is located in suburbs of Paris closer to the airports than to downtown of the city. Therefore not all Paris hotels are suitable for the participants and the location is extremely important. Due to the fact that many of our clients plan to attend the unique FCI Centenary Winner Show in May 2011, that will be taking place in Dortmund (Germany), we decided to book hotels for our loyal customers. More details about the dog-friendly hotels near Westfallenhallen in Dortmund will be announced on our site, so you can arrange your trip to the very special FCI Centenary dogshow in advance. Our last clients are only departing tommorrow, but we can proudly announce, that the EuroDogShow was a great success not only for the participants, but for our company as well. We arranged 216 rooms in 16 different properties from small inns to upscale downtown hotels for our clients from many European countries. We are collecting the feedbacks, anyhow from talk with the clients we received very positive feedback about the idea of a international travel agency, that is focusing on dog breeders & exhibitors. With the last entry deadline being moved to 30 August, many dog breeders have used this last minute opportunity to signup for the show and arrange their stay in Celje. Therefore we received a big wave of reservation leaving us only with last 50 rooms available in hotels around Celje, as hotels in Celje are booked out. Even the number may sound high, we expect this to be fully booked within 7 - 10 days. Hier finden Sie Informationen über Unterkünft für Europahundeausstellun in Celje in deutscher Sprache. We inspected hotels near the exhibition venue for World Dog Show 2011 in Paris. The participants can expect a spectacular event in very professional exhibition centre and in one of most beautiful cities in the world. According to organisers more then 30 000 dogs are expected and it will be a real celebration of the centenary of FCI. More information on the hotels and accommodation for the World Dogshow 2011 will be published withing few weeks. The first entry deadline for 2010 European Dog Show in Slovenia on 10 June started massive flow of reservation for dogs and the owners (even we admit, that usually this are the breeders who make the bookings ;). More than 100 rooms in hotels and pensions have been booked for our clients and we expect that there will be soon only properties located at least 25 km from Celje available. Should you consider the hotel accommodation, use the last opportunity to arrange your dog-friendly hotels within 15 minutes drive from Celje. Through our reservation engine nearly 60 bookings have been placed for the World Dog Show 2010 Denmark. Due to very limited availability we do not expect that any further reservations will be made for the event that will start on 24 June 2010 in the Danish city Herning. The availability of budget hotels and hotels located directly in Celje is limited to few dozens of rooms, therefore if the location or price are your highest priorities, then quick booking is needed.